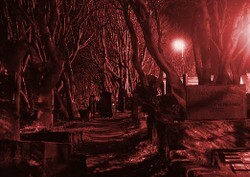 Sixteen people died and the resultant telling of the story kick-started a vampire scare throughout 18th century Europe. 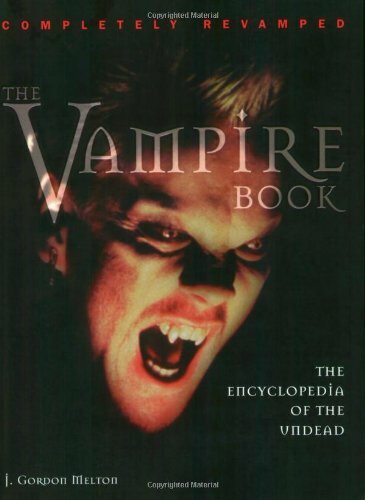 It was the true story which introduced the word 'vampire' into the English language. Such blood-sucking creatures had been known before, but only as vague folklore from some far away place. The reports coming out of Austria and Germany made it all not only real, but happening right now. The Serbians called it the вампир, which the Germans translated as vampir. The French added an 'e', rendering it vampyre. In English, that quickly became vampire. Whatever the title, they were all terrified. Until the Arnold Paole story, no-one in the West had believed that vampires actually existed. 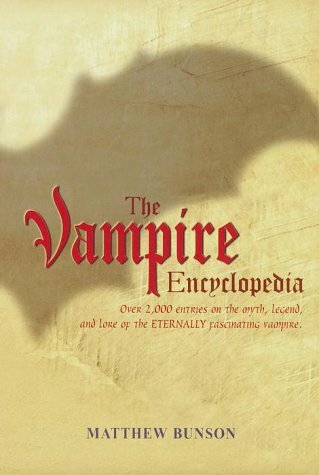 The medical notes and stories surrounding Arnold Paole are recounted amongst others in this scientific history of the vampire legend. The Treaty of Požarevac had led to a small oasis of peace, where previously there had been war. Serbian Christians rushed to farm the land. Serbia, in the early 1700s, was not a safe place to live. It was right on the front line of the endless clashes between Christendom and the Islamic forces of the Ottoman Turks. Thousands were dispossessed, starved or buried their dead with injuries sustained in the crossfire. A semblance of peace came to the devastated region around Paraćin, when Austria briefly occupied the frontier. The fighting moved elsewhere, but the act of colonization went on. The Austrians wanted Serbian Christians to settle on scorched earth, but they would answer to Vienna. People came. Serbs arrived as refugees from villages still under Turkish control; or they came from the south and west, from places now in Bosnia or Hungary. Nevertheless they came for the promise of parcels of land, as long as they could farm and defend it. Amongst their number was Arnold Paole (aka Арнаут Павле or Arnaut Pavle), a man who was actually coming home. He'd seen military service in Greece and Kosovo, as well as near Belgrade, but he'd been born in Medveđa on the banks of the Morava River. All he wanted was to be back in the place where he'd been raised; where he could begin again at the end of his war. Instead the killing had only just begun. Fate held a terrifying future for him and his new neighbors. Arnold Paole's home village should not be confused with the town of the same name in southern Serbia. War and the ravages of war must have been the subject of many a conversation. But some of those stories were stranger than most. With his military experience, Arnold Paole became a hajduk in his native village. Decades later, when the Ottoman Turks regained the area, the hajduk were called outlaws, thieves and terrorists. As the centuries have passed, the historic hajduks are considered by Serbs to have been freedom fighters. Robin Hood figures, who took from the rich to feed the poor. They harried as militia from the mountains and forests, attacking Ottoman strongholds in guerrilla maneuvers. In 1726, when Arnold Paole was on patrol, he was an armed local man, ensuring that his village was kept safe. He was one of hundreds of men so employed by the Habsburg authorities. It was all within the law in an unstable region. Everyone had a story to tell, while they took the watch. Arnold was no different, but his tale stood out. It involved a vampire and a horrific series of events. He'd been stationed in a place called Gossawa, in Kosovo, when he was attacked by the Undead. It had injured him and Arnold had feared for his life and soul. During daylight hours, he traced the vampire back to its grave. Exhuming the monster's body, he'd decapitated it and staked it down. 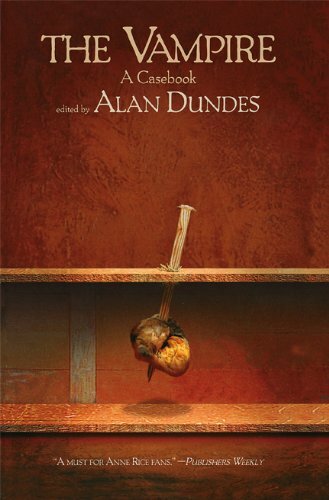 Then he'd taken some of the blood, which oozed from the creature's orifices and smeared his own body with it. As an extra precaution, Arnold had taken soil from around the coffin and eaten it. It would, he believed, stop him from ever becoming a vampire himself. While out of the ordinary, tales like this were not unusual. Even in that small village, filled with incomers fleeing the war, there were several such stories. These were things which had happened to those people. Not reports passed on by a friend of a friend. One woman, Stana, had been pregnant when she'd had her vampire encounter. She'd smeared her swollen belly with the blood from the decapitated corpse. It was protection. But when a terrible accident cost Arnold Paole his life, the villagers were to learn that it wasn't protection enough. 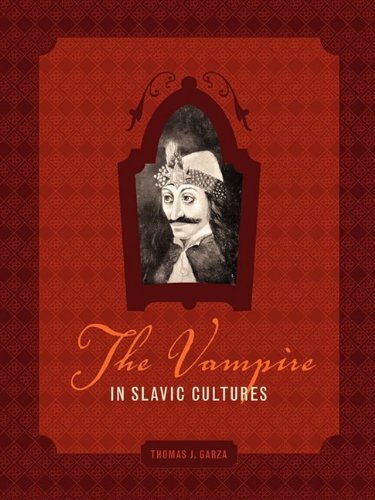 The Balkans region is the nursery of all Western vampire legends. 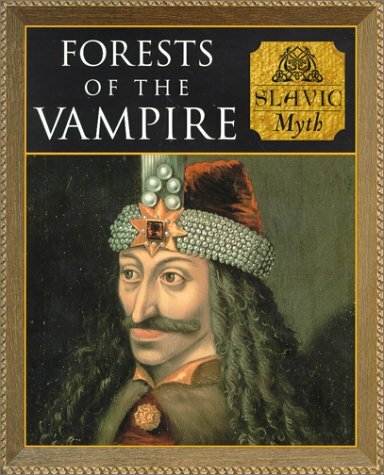 Read Slavic vampire stories to discover how it all began. The heroic hajduk would not rest easy in his grave. He took several villagers with him before it was done. Arnold Paole's neck was broken in a fall from the top of a haywagon. He was buried with all due Christian ceremony in the local churchyard. That should have been it, bar the grieving process, but it was only the start. Within 20 days, the first villager swore that he'd been seen. Ten days later, there were dozens of reports. People who had known Arnold in life now testified that they had seen him with their own eyes. He was out of his grave and walking through the village at night. Moreover, four different individuals complained that he had attacked them. To add credence to the reports, the four villagers were all showing signs of some strange contagion. There was a sharp stabbing sensation in their sides, which gave way to chest pain. They all slipped into fever. Their limbs became subject to sudden jerks. Within days, they were all dead. It wasn't just the people suffering. Lone sheep were lying dead in the pastures. The people of Medveđa had enough. They knew what the cause would be. Arnold had told them himself that he'd survived an attack by a Kosovo vampire. It was patently clear to all that his actions had not been enough to stop him becoming one of the undead too. A group of them converged at his graveside. He was exhumed and horror struck every witness. Blood ran from the eyes, mouth, nose and ears of the body. His clothing and the coffin lining were both saturated with it. His nails and patches of skin had fallen away, but had been replaced with new growth. It confirmed all that they'd feared. The stake had been prepared to pin him to the ground. As it was hammered through his heart, Arnold emitted a loud groan and seemed to rise. Blood rushed from the wound. There were torches on standby. The fire was thrust at him now and Arnold Paole's body was burned to ashes. Yet the day's grisly work was not yet done. All four of the people who'd said they'd seen him, then died of their unknown condition, were also exhumed. Their corpses were treated in precisely the same way. Finally it grew quiet. No more sightings. No more strange deaths. It appeared to be over, but appearances can be deceptive. Five years passed without so much as a whisper from the Undead. Then it all began again, with a far higher death toll than before. In November 1731, a fifty year old woman from Medveđa sickened and died. Her name was Milica and it took her three months to perish. It would be later determined that she was the first of a new infestation of vampires in the village. Yet it was related to the first. When sheep are lying dead in a field, you might as well butcher, cook and eat them. Even if they were suspected killed by the undead. It was widely believed that the vampire contagion had lain dormant in her for five years. But it killed her in the end too. Thereon, the epidemic spread fast. While the villagers screamed vampire, the Austrian imperial administrators dismissed it all as Slavonic superstition. A medical specialist, stationed in Paraćin, was dispatched to the village. The fear was that it was plague. Imperial Contagions-Medicus Glaser arrived in Medveđa on December 12th 1731 and quickly began to take notes. His is the earliest written documentation of the story. He discovered a trail of corpses. After Milica, an eight year old boy had died. Glaser did not record his name. Then came three more boys - Miloje aged 14, Joachim and Petar both aged 15. There was Stana, aged 20, who had previously smeared herself with vampire blood in warding. Her eighteen week old baby died too. Unbaptized, the infant was buried by a fence on her property. Local dogs had sniffed it out and half devoured the body, before they were discovered. A nine year old boy named Vučica was next. He was followed by Milošova, who was the 30 year old wife of a hajduk. Then Rade, a 24 year old man, weakened and died. A 40 year old woman named Ružica did likewise. Her 18 day old baby didn't survive her for long. Their symptoms had all mirrored those of the earlier outbreak. Pains, fever, spasms, then death. They had all died within the previous six weeks. Glaser dutifully wrote it all down and sent in a report to his superiors in Vienna. His diagnosis was malnutrition. However, he added that the villagers would not be appeased, unless the dead were exhumed and treated as vampires. He'd been pressured into over-seeing an exhumation himself. His report stated that only Vučica, Milošova, and Rade's bodies showed signs of decomposition. The rest appeared perfectly well preserved, with fresh blood in their mouths. Seventeen people were dead and the villagers were in terror for their lives. Families banded together to ensure a watch at all times. Johann Flückinger was a highly experienced army surgeon, with several medics under his command. Calm, reasonable Austrian men, they could be trusted upon to entertain no superstitious nonsense from the Slavic peasantry. Fearing some kind of uprising, if nothing was done, the local commandant had sent in a request for assistance. Flückinger and two of his members of staff were the response. 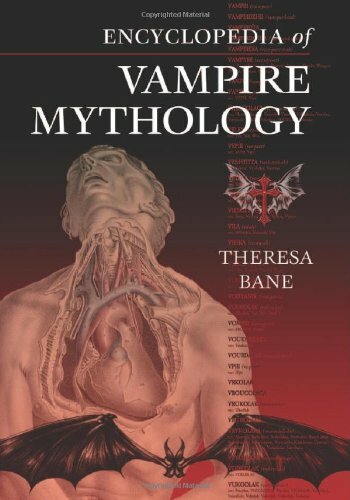 They naturally dismissed all talk of vampires, but scratched their heads over Glaser's notes. Accompanied by two military officers, they went to see for themselves. The trio arrived in Medveđa on January 7th 1732. They discovered that the deaths had not yet abated. A sixty year old man named Stanjiko had died since Glaser had left. He was followed into his grave by 25 year old Miloje. Another woman had perished, taking her eight week old baby with her. But their names weren't recorded. Most recently, a young woman had died. Her name was Stanojka. She'd woken in the night, just 15 days before her death, screaming about a vampire in her room. Her father-in-law recounted how the family had rushed to her side, but there was nothing to be seen. She had told them that the vampire looked like Miloje - the adult, not the boy, who had been buried just days prior to the attack. Within three days, the previously healthy Stanojka was dead too. With no-one presently ailing, Flückinger ordered that the previous victims' bodies all be exhumed, so that he could perform a post-mortem. Five of the corpses were shown to be decayed, exactly as he expected. But twelve were not. He took very detailed notes. They include such details as Milica - the first victim - appearing quite plump, though in life she had been 'lean and dried up'. Her skin now held a vividly red hue, nor was she alone in that. For many of the bodies, Flückinger recorded that 'the skin on ... hands and feet, along with the old nails, fell away on their own, but on the other hand completely new nails were evident, along with a fresh and vivid skin'. More disturbingly, he kept finding blood in their major organs. Not coagulated, as he had anticipated, but apparently fresh and fluid. This officious, rational Austrian reached his conclusion. The corpses all showed signs of vampirism. It was real. He took advice from the local elders, including a consultant with a gypsy tribe who were camped nearby. A posse of men from both the village and the gypsy camp took control of the situation. They decapitated the bodies and then engulfed them in a massive funeral pyre. Amongst the empire building countries of the West, such stories were supposed to be fiction. But now vampire legends had credence behind them. Glaser wasn't stupid. He knew that the second investigation had meant that his words hadn't been believed. He'd found no cause for the contagion. Now Flückinger and his team had validated Glaser's own diagnosis. He wrote to his own father with the details of the case. Dr Johann Friedrich Glaser was based in Vienna, where he had his own medical practice. But he also wrote articles for Commercium Litterarium, a journal publication based in Nuremburg, Germany. It was Glaser Sr who broke the news about Arnold Paole and the Serbian vampire epidemic. What made it so terrifying to its academic readers was the source. This wasn't second hand accounts by superstitious foreigners, these were reasonable Austrian medics making these outlandish diagnoses. Suddenly the tale was being repeated all over Germany, Austria, France and into Britain. No doubt details got added as it spread, but the crux of the matter remained fast. 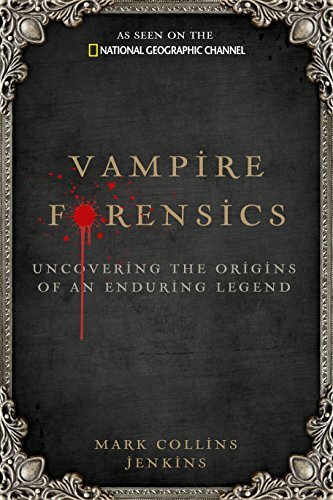 Scientific men had investigated and proved the truth about those distant vampire legends. It was happening, right here, right now, in a corner of Europe; and that was terrifying. 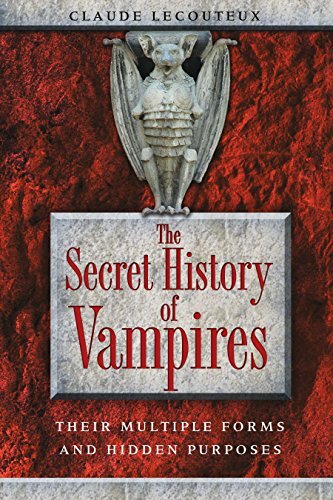 It was to set the stage for the vampire panic, which swept the continent during the 18th and 19th centuries. Some would say that we're not over it yet. It should have been a new life, a new beginning, in lands made peaceful after the war. But the villagers of Kisilova were preparing to flee from a vampire in their midst. When it comes to vampires, I think it's less a conspiracy to say that it's tuberculosis, plague or fever, than an actual blood-sucker. Though we never know! Is there an article here for you? 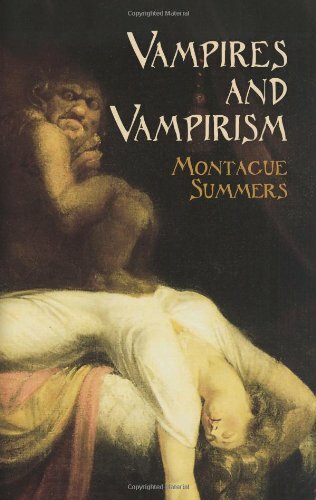 Going through the various illnesses and diseases, which may have been at the root of 'vampire epidemics' in history? I know I'd love to read it. Hi Mladen, I was so hoping that we'd hear from you on this one! I'm pleased that I got you interested in part of your history. Job done! I'd heard of porphyria associated with vampirism, but not Hantaan fever. Thank you for pin-pointing a probable cause here. For us less medically trained people, it's hard to know what was going on. This could be Hantaan fever. There were few epidemics in Serbia and Balkans earlier. Shows similar symptoms and it is form of a hemorrhagic fever. I couldn't tell for real. But I know people used (and still do) to kill others and drink their blood. It is believed that human blood can help those with porphyria (rare sickness). But it is only a belief that actually caused some vampire-like events. That's good, because it's vampires. This subject cries out for wild imaginings! Arnold Paole does, or those who came later? Though it is an interesting mental image to have a mad scientist there! In Exeter, Rhode Island, the villagers gathered to exhume the body of a suspected vampire. It happened right on the eve of the 20th century.